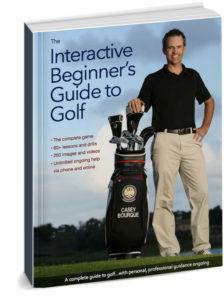 Many players, especially beginners, actually find slight uphill lies easier to handle than flat lies. 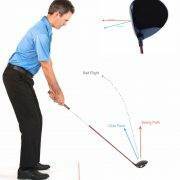 With your longer, less lofted clubs, it’s easier to launch the ball higher and get it up in the air. When you’re in a situation with a more severe slope, there are a few things that we need to consider. 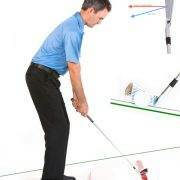 The ball will tend to launch higher, fly higher, and when it lands, it will not run out as much as it normally would from a flat or downhill lie. With some players, these facts may actually help longer clubs travel greater overall distances. Practice and experience in these situations will help you judge distance better. When we set up to an uphill lie, we still want to accommodate contact with the ball and then the turf in a relative descending blow. That said, if we are leaning too far up the hill, impact with the ball will be too steep, hurting our results. I suggest a setup position with your spine more perpendicular to the slope and a line drawn across your shoulders roughly parallel to the slope. 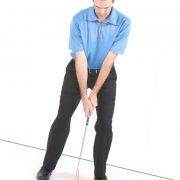 This means that in your set up position, the majority of your weight will be on your right leg. When we make our swing, we still load our weight onto the inside of our right leg, shift targetward in the downswing, ending on our left side. In more severe situations, you might account for the ball tending to go to the left a little bit from an uphill lie. In summary, shots from uphill lies tend to launch and fly higher, and tend not to run out as much when they hit the ground. While not always the case, many players find that their less lofted clubs will actually go further, while more lofted clubs will fly higher and travel shorter distances. 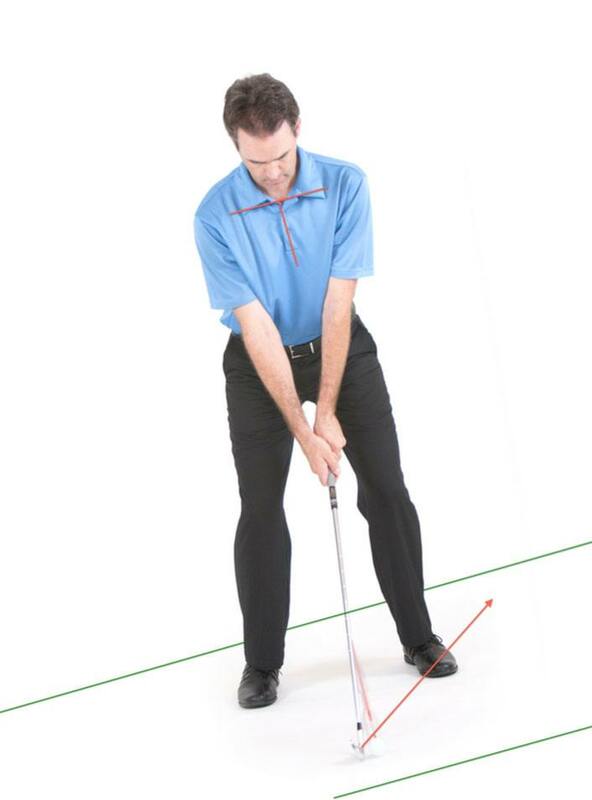 I suggest setting up with your shoulders parallel to the slope, and your spine more perpendicular to the slope. 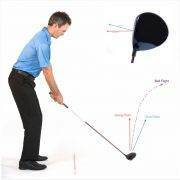 It’s important to load your right side in the backswing, then shift your weight targetward up the hill through impact. Some players have a tendency to hang back, which will cause shots to go to the left.